Samsung Electronics has unveiled the Galaxy Note9 in New York, banking on the larger-screen device to rejuvenate sales of a struggling flagship line and fend off Apple’s upcoming iPhones over the holidays. The 6.4-inch-screen Note9 will start at US$999.99 and max out at $1 249.99 — becoming, at about $100 above the iPhone X’s upper limit, one of the world’s most expensive consumer phones. It looks similar to last year’s 6.1-inch Note8 but sports a revamped Bluetooth stylus — a longtime selling point of the Note series — as well as an upgraded camera that takes sharper photos than the S9 released earlier this year, Samsung said on Thursday. Samsung’s latest device enters the ring at a time of slowing smartphone demand globally and a disappointing performance by its cousin, the Galaxy S9. That marquee gadget failed to capture consumers’ imagination or stop Huawei and Xiaomi from grabbing market share at the Korean giant’s expense. It’ll also go up against the new iPhones, typically unveiled in September. Samsung is counting on its latest device to lead the charge during the crucial holiday season and revitalise a mobile division where profits almost halved last quarter. After a robust decade of growth, demand is cooling as consumers wait longer to replace devices, even as cheaper Chinese brands flood the market and chip away at Samsung and Apple’s longstanding dominance. Samsung blamed itself partly for the disappointing performance, saying on an earnings call that it’s played too safe with smartphones too long. Since the recall of the fire-prone Note7 that cost the company billions of dollars, the company has intensified quality inspections, even if that meant withholding innovations from consumers. A new stylus called the S Pen is this year’s highlight upgrade. It will let users remotely control the Note9’s camera and switch between slides in a presentation, the company said. It’ll also allow more accurate writing and drawing on the phone’s screen. The Note9’s camera upgrade is on par with the one given to the S9 in March, adding enhanced colours and exposure. It also has a relocated fingerprint scanner on the back but not one built into the screen, something the company has said it’s developing. 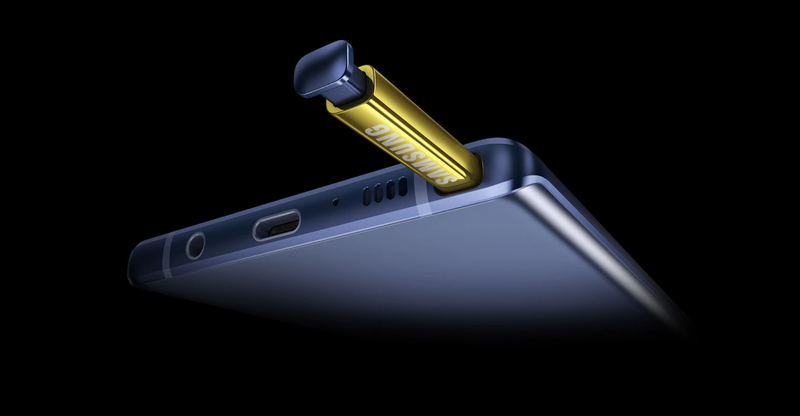 The Note9, which comes in multiple hues including black and copper, sports an upgraded version of Samsung’s DeX system. This feature lets users connect their device to a computer display using a separate accessory, essentially turning the smartphone into a full-featured desktop with apps. 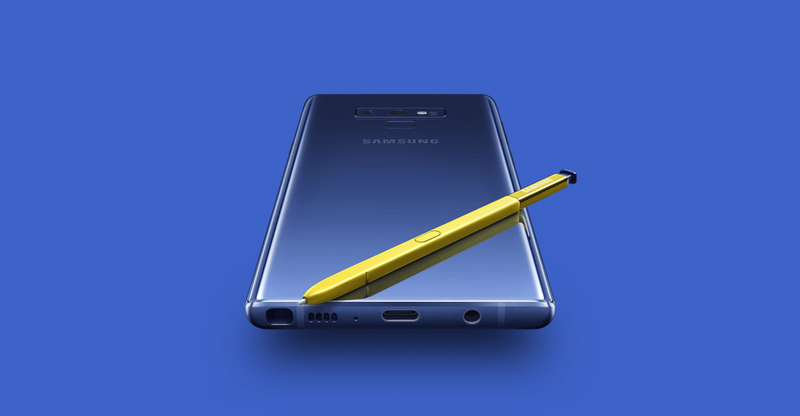 The Note9 is designed to encourage adoption of the feature by allowing users to connect the phone to a monitor via an HDMI cable, bypassing the need to buy a separate docking station. Even in tough times, Samsung has a solid source of income it can lean on for investment: memory chips, an industry the world’s biggest chip maker controls with SK Hynix and Micron. Samsung also supplies the organic light-emitting diode screens that go into premium devices such as the iPhone X. Solid cash reserves also helped the South Korean company set up the world’s biggest smartphone factory in India this year, a banner event that drew the leaders of the two countries along with vice chairman Jay Y Lee, Samsung’s de facto head. At the New York event on Thursday, Samsung also introduced a new Galaxy Watch that competes with a similar product from Apple. The redesigned smartwatch has a circular screen, is water resistant and can connect to LTE cellular networks, the company said. It has improved battery life over previous Samsung watch models, and will be compatible with a new charger that can simultaneously charge smartphones and the watch.